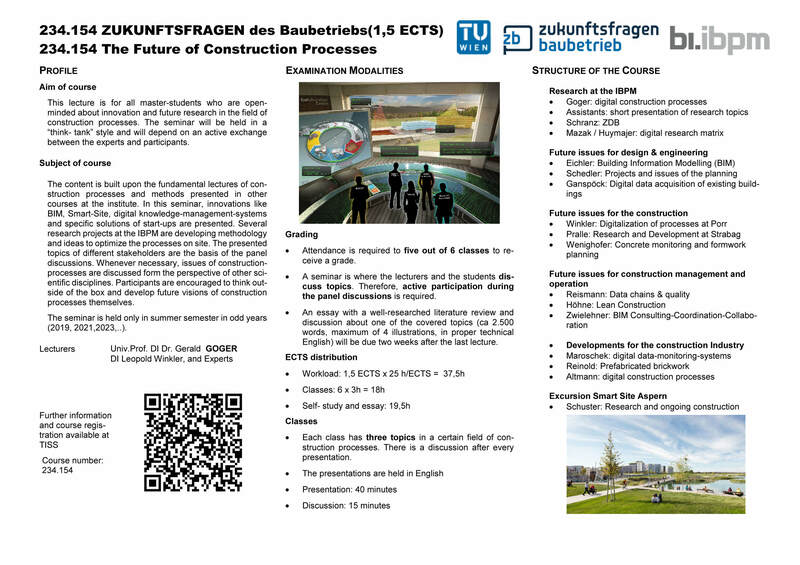 Don’t miss the seminar „The future of construction processes“ 234.154 (1,5 ECTS) - Take a look at the schedule and attend the first lecture on 08.05.2019 at 15:00 in Seminarraum 234. Registration starts on March 1st. Further information can be found on TISS. Erasmus students from all disciplines are welcome! This lecture is for all master-students who are open-minded about innovation and future research in the field of construction processes. The seminar will be held in a “think- tank” style and will depend on an active exchange between the experts and participants. The content is built upon the fundamental lectures of construction processes and methods presented in other courses at the institute. In this seminar, innovations like BIM, Smart-Site, digital knowledge-management-systems and specific solutions of start-ups are presented. Several research projects at the IBPM are developing methodology and ideas to optimize the processes on site. The presented topics of different stakeholders are the basis of the panel discussions. Whenever necessary, issues of construction-processes are discussed form the perspective of other scientific disciplines. Participants are encouraged to think out-side of the box and develop future visions of construction processes themselves. The seminar is held only in summer semester in odd years (2019, 2021,2023,..). 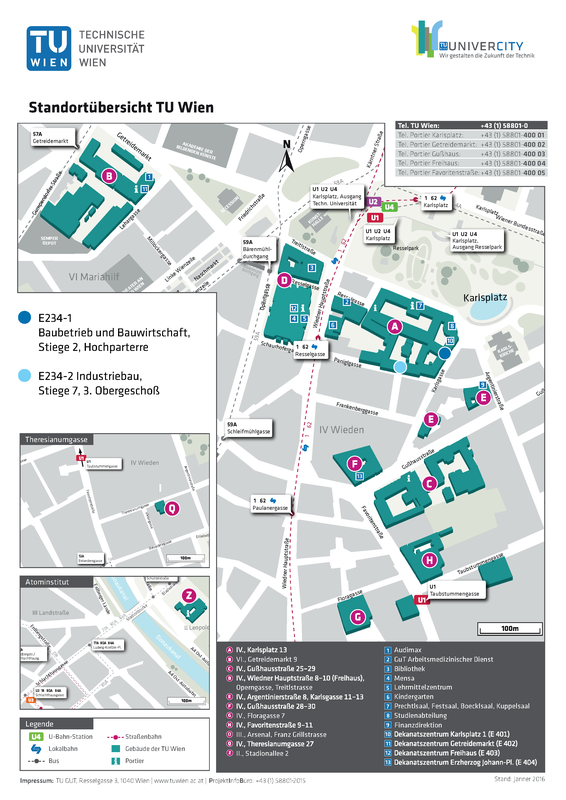 An unserem Institut 234-1 befindet sich nächst dem Sekretariat ein Defibrillator, Raum-Code AE EG 07A.